Alongside Bell, the episode will feature Adrienne Barbeau (who played Wilma in “The Crate” segment of the original Creepshow) and Breaking Bad’s Giancarlo Esposito. The story was adapted for the series by Byron Willinger and Phillip de Blasi. Greg Nicotero (The Walking Dead) will direct. 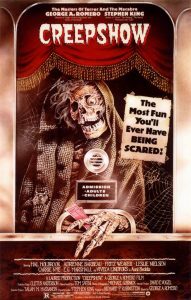 Creepshow will creep onto Shudder later this year.